Nannette G. Lawhon is an Instructor at Itawamba Community College, a renowned institute of higher education offering opportunities for progress to students through community college resources. 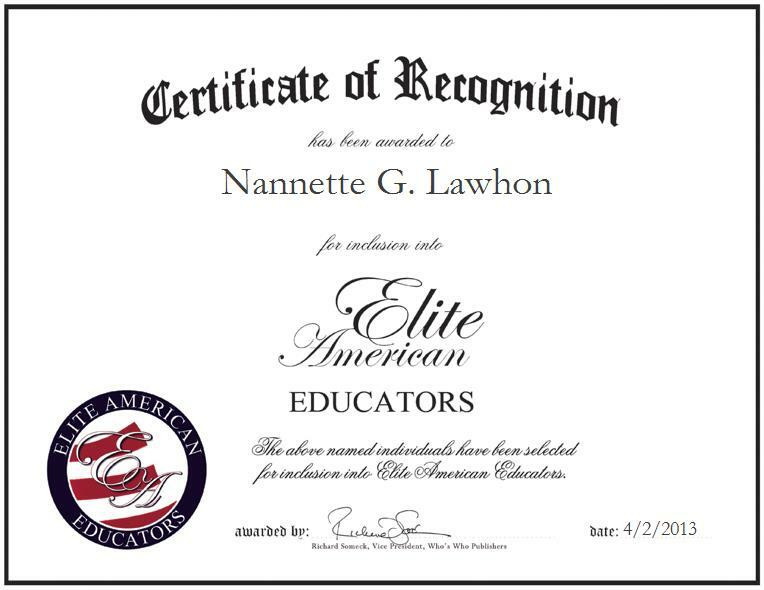 At her current post, Ms. Lawhon teaches American literature and makes the most of her expertise in online instruction, which has been refined over the course of a successful 30-year career. She is committed to helping people to accomplish their academic goals, as she has experience in educational developments, writing grant applications and working with the United States Department of Education. She served as an administrator over federal programs while at Bevill State Community College. She was also an English and history instructor at Itawamba Community College.